Cities: Capital: Sanaa. Other cities — Aden, Taiz, Hodeida, and al-Mukalla. Nationality: Noun and adjective — Yemeni(s). Population (April 2011 est. ): 25,130,000. Annual population growth rate: 3%. Religions: Islam including Shaf'i (Sunni), Zaydi (Shia), and a small but growing number of Salafi (Sunni). Additionally, there are a small number of Jews, Christians, and Hindus. Education: Attendance, primary level (2008 est.) — 85% for boys and 62% for girls. Attendance, secondary level (2005 est.) — 49% for boys and 26% for girls. Literacy (2009 est.) — 62% overall, including 80% of males, 45% of females. Health: Infant mortality rate (2008 est.) — 53/1,000 live births. Life expectancy (2008 est.) — 64 years. Work force: Percentage of total population — 25%. By sector — agriculture 53%; public services 17%; manufacturing 4%; construction 7%. Branches: Executive: president, and prime minister with cabinet. Legislative — bicameral legislature with 111-seat Shura Council and 301-seat House of Representatives. Judicial — the constitution calls for an independent judiciary. The former northern and southern legal codes have been unified. The legal system includes separate commercial courts and a Supreme Court based in Sanaa. Administrative subdivisions: 22 governorates subdivided into districts. Main political parties: General People's Congress (GPC), Islah Party, Yemeni Socialist Party (YSP). Nominal GDP (2011 est. ; International Monetary Fund World Economic Outlook (IMF WEO), Sept. 2011): $36.7 billion. Nominal per capita GDP (2011 est. ; IMF WEO, Sept. 2011): $1,460. Agriculture (est. 8.2% of GDP): Products — qat (a shrub containing a natural amphetamine), coffee, cotton, fruits, vegetables, cereals, livestock and poultry. Arable land (est.) — 3%. Industry (est. 38.8% of GDP): Types: petroleum refining, mining, wholesale and retail trade, transportation, manufacturing, and construction. Services (est. 53% of GDP). Trade: Exports (2010): $7.5 billion: crude petroleum, liquefied natural gas, refined oil products, seafood, fruits, vegetables, hides, tobacco products. Major markets — China, India, Thailand, South Africa, South Korea, United States, Switzerland. Imports (2010) — $9.2 billion: petroleum products, cereals, feed grains, foodstuffs, machinery, transportation equipment, iron, sugar, honey. Major suppliers — United Arab Emirates, China, Saudi Arabia, India, Switzerland, Kuwait. 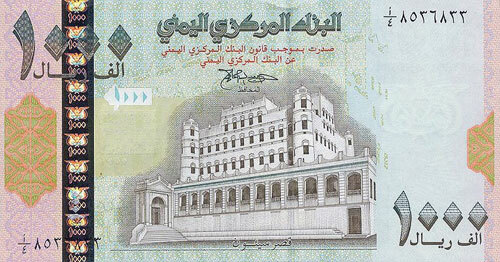 Exchange rate (2011; Central Bank of Yemen, Dec. 15, 2011): Official rate 218 rials per U.S. $1. During political unrest in 2011, black market exchange rates fluctuated and reached as high as 240 rials per U.S. $1 due to changes in the public's overall confidence in Yemen's political and economic stability. Following the November 2011 signing of a Gulf Cooperation Council (GCC) initiative on the transfer of power, the exchange rate decreased to between 218 and 224 rials per U.S. $1. Unlike other people of the Arabian Peninsula who have historically been nomads or semi-nomads, Yemenis are almost entirely settled and live in small villages and towns scattered throughout the highlands and coastal regions. Yemenis are divided into two principal Islamic religious groups: the Shia Zaydi sect, found in the north and northwest, and the Shaf'i school of Sunni Muslims, found in the south and southeast. Yemenis are mainly of Semitic origin, although African strains are present among inhabitants of the coastal region. Arabic is the official language, although English is increasingly understood in major cities. In the Mahra area (the extreme east), several non-Arabic languages are spoken. When the former states of north and south Yemen were established, most resident minority groups departed. Ottoman control was largely confined to cities with the Imam's suzerainty over tribal areas formally recognized. Turkish forces withdrew in 1918, and Imam Yahya Muhammad Hamid al-Din — who had established himself as the preeminent force in the northern highlands — strengthened his control over north Yemen. Yemen became a member of the Arab league in 1945 and the United Nations in 1947. Imam Yahya died during an unsuccessful coup attempt in 1948. His son Ahmad succeeded him and ruled until his death in September 1962. Imam Ahmad's reign was marked by growing repression, renewed friction with the United Kingdom over the British presence in the south, and growing pressures to support the Arab nationalist objectives of Egyptian President Gamal Abdul Nasser. Ahmad's son, Muhammad, assumed power in 1962. Revolutionary forces deposed him soon thereafter as they took control of Sanaa and created the Yemen Arab Republic (Y.A.R.). Egypt assisted the Y.A.R. with troops and supplies to combat forces loyal to the Imamate. Saudi Arabia and Jordan supported Muhammad's royalist forces to oppose the newly formed republic. Conflict continued periodically until 1967 when Egypt withdrew its troops. By 1968, following a final royalist siege of Sanaa, most of the opposing leaders reconciled; Saudi Arabia recognized the Republic in 1970. After British forces captured the port of Aden in 1839, their influence increased in the south and eastern portion of Yemen. The United Kingdom ruled Aden as part of British India until 1937, when London made the port a crown colony with the remaining land designated as east Aden and west Aden protectorates. By 1965, most of the tribal states within the protectorates and the Aden colony proper had joined to form the British-sponsored federation of south Arabia. In 1965, two rival nationalist groups — the Front for the Liberation of Occupied South Yemen (FLOSY) and the National Liberation Front (NLF) — turned to terrorism in their struggle to control the country. In 1967, in the face of uncontrollable violence, British troops began withdrawing, federation rule collapsed, and NLF elements took control after eliminating their FLOSY rivals. South Arabia, including Aden, declared independence on November 30, 1967, and renamed itself the People's Republic of South Yemen. In June 1969, a radical wing of the Marxist NLF gained power and changed the country's name on December 1, 1970, to the People's Democratic Republic of Yemen (P.D.R.Y.). In the P.D.R.Y., the government amalgamated all political parties into the Yemeni Socialist Party (YSP), which became the only legal party. The P.D.R.Y. established close ties with the Soviet Union, China, Cuba, and radical Palestinians. In 1972, the governments of the P.D.R.Y. and the Y.A.R. declared that they approved a future union. However, they made little progress toward unification, and relations were often strained. In 1979, simmering tensions led to fighting, which was only resolved after Arab League mediation. The northern and southern heads of state reaffirmed the goal of unity during a March 1979 summit meeting in Kuwait. However, that same year the P.D.R.Y. began sponsoring an insurgency against the Y.A.R. In April 1980, P.D.R.Y. President Abdul Fattah Ismail resigned and went into exile. His successor, Ali Nasir Muhammad, took a less interventionist stance toward both the Y.A.R. and neighboring Oman. On January 13, 1986, a violent struggle began in Aden between Ali Nasir Muhammad and the returned Abdul Fattah Ismail and his supporters. Fighting lasted for more than a month and resulted in thousands of casualties, Ali Nasir's ouster, and Ismail's death. Some 60,000 persons, including Ali Nasir and his supporters, fled to the Y.A.R. In May 1988, the Y.A.R. and P.D.R.Y. governments came to an understanding that considerably reduced tensions including agreement to renew discussions concerning unification, establish a joint oil exploration area along their undefined border, demilitarize the border, and allow Yemenis unrestricted border passage on the basis of only a national identification card. In November 1989, the leaders of the Y.A.R. (Ali Abdullah Saleh) and the P.D.R.Y. (Ali Salim Al-Bidh) agreed on a draft unity constitution that they had originally drawn up in 1981. The Republic of Yemen (R.O.Y.) was declared on May 22, 1990. Ali Abdullah Saleh became President, and Ali Salim Al-Bidh became Vice President. The leaders set a 30-month transitional period for completing the unification of the two political and economic systems. The 26-member Y.A.R. advisory council and the 17-member P.D.R.Y. presidium jointly elected a presidential council. The presidential council appointed a Prime Minister, who formed a Cabinet. There was also a 301-seat provisional unified Parliament, consisting of 159 members from the north, 111 members from the south, and 31 independent members appointed by the chairman of the council. The leaders agreed upon a unity constitution in May 1990, which the citizens ratified in a May 1991 popular referendum. The constitution affirmed Yemen's commitment to free elections, a multiparty political system, the right to own private property, equality under the law, and respect of basic human rights. Parliamentary elections were held on April 27, 1993. International groups assisted in the organization of the elections and observed actual balloting. The resulting Parliament included 143 GPC, 69 YSP, 63 Islah (Yemeni Grouping for Reform, a party composed of various tribal and religious groups). The head of Islah, paramount sheikh of the powerful Hashid tribal confederation Abdullah Bin Hussein Al-Ahmar, was elected speaker of Parliament. He served in that capacity until his death in 2007. Islah was invited into the ruling coalition, and the presidential council was altered to include one Islah member. Conflicts within the coalition resulted in the self-imposed exile of Vice President Ali Salim Al-Bidh to Aden beginning in August 1993 and a deterioration in the general security situation as political rivals settled scores and tribal elements took advantage of the situation. Haydar Abu Bakr Al-Attas (former southern Prime Minister) continued to serve as the R.O.Y. Prime Minister, but his government was ineffective due to political infighting. Continuous negotiations between northern and southern leaders resulted in the signing of the document of pledge and accord in Amman, Jordan on February 20, 1994. Despite this, clashes intensified until civil war broke out in early May 1994. Southern leaders declared secession and the establishment of the Democratic Republic of Yemen (D.R.Y.) on May 21, 1994, but the D.R.Y. was not recognized by the international community. Ali Nasir Muhammad supporters greatly assisted military operations against the secessionists, and northern troops captured Aden on July 7, 1994. Other resistance quickly collapsed and thousands of southern political and military leaders went into exile. Early during the fighting, President Ali Abdullah Saleh announced a general amnesty, which applied to everyone except a list of 16 persons. Most southerners returned to Yemen after a short exile. An armed opposition was announced from Saudi Arabia, but no significant incidents within Yemen materialized. The government prepared legal cases against four southern leaders — Ali Salim Al- Bidh, Haydar Abu Bakr Al-Attas, Abd Al-Rahman Ali Al-Jifri, and Salih Munassar Al-Siyali — for misappropriation of official funds. Abd Al-Rahman Ali Al-Rahman was allowed to return to Yemen in 2006. Others on the list of 16 were told informally they could return to take advantage of the amnesty, but most remained outside Yemen. Although many of Ali Nasir Muhammad's followers were appointed to senior governmental positions (including Vice President, Chief of Staff, and Governor of Aden), Ali Nasir Muhammad himself remained abroad in Syria. In the aftermath of the civil war, YSP leaders within Yemen reorganized the party and elected a new politburo in July 1994. However, the party remained disheartened and lacked its former influence. In 1994, amendments to the unity constitution eliminated the presidential council. On October 1, 1994, Parliament elected President Ali Abdullah Saleh to a 5-year term. In April 1997, Yemen held its second multiparty parliamentary elections. The country held its first direct presidential elections in September 1999, electing President Ali Abdullah Saleh to a 5-year term in what were generally considered credible elections. Constitutional amendments adopted in the summer of 2000 extended the presidential term by 2 years, creating a 7-year presidential term. The amendments provided that henceforth the president would be elected by popular vote from at least two candidates selected by the legislature. The amendments also extended the parliamentary term of office to a 6-year term. On February 20, 2001, a new constitutional amendment created a bicameral legislature consisting of a Shura Council (111 seats; members appointed by the president) and a House of Representatives (301 seats; members elected by popular vote). In April 2003, the third multiparty parliamentary elections were held with improvements in voter registration for both men and women. Two women were elected. The General People's Congress (GPC) maintained an absolute majority. International observers judged elections to be generally free and fair, and there was a marked decrease from previous years in election-related violence; however, there were some problems with underage voting, confiscation of ballot boxes, voter intimidation, and election-related violence. In September 2006, citizens re-elected President Saleh to a second term in a generally open and competitive election, although there were multiple problems with the voting process and use of state resources on behalf of the ruling party. In the September 2006 local council elections, the GPC won a majority of seats on local and provincial councils. International observers judged the elections to be generally open and competitive, with another marked decrease in election-related violence. Scheduled April 2009 parliamentary elections were postponed until 2011 by a parliamentary vote extending the members' term in office to 8 years, but elections were not held in 2011 due to civil unrest. Yemen is a republic with a bicameral legislature. Under the constitution, an elected president, an elected 301-seat House of Representatives, and an appointed 111-member Shura Council share power. The president is head of state, and the prime minister is head of government. The constitution provides that the president be elected by popular vote from at least two candidates endorsed by Parliament; the prime minister is appointed by the president. The presidential term of office is 7 years, and the parliamentary term of elected office is 8 years. Suffrage is universal over 18. In February 2011, Yemeni citizens began protesting against corruption and eventually for the ouster of President Ali Abdullah Saleh's regime. Protests soon turned violent, prompting many to leave the ruling party for the opposition. International pressure on the Saleh regime intensified as evidenced by the passage of United Nations Human Rights Council and Security Council resolutions. The Gulf Cooperation Council (GCC) initiated a mechanism to transfer power from President Saleh. On November 23, 2011 after 8 months of deliberation, President Saleh signed the initiative beginning the transfer of power to a new government. As part of the implementation of the GCC initiative, Vice President Abd Rabo Mansour al Hadi named a new cabinet to form a National Consensus Government in addition to a Military and Security Committee. The National Consensus Government will set the government mandate until 2014 and the Military and Security Committee is charged with de-escalating the tenuous security situation throughout Yemen. The next presidential elections had been scheduled for 2013, although the 2011 demonstrations accelerated the timeline to February 2012. The Republic of Yemen maintains an embassy (http://www.yemenembassy.org/) in the United States at 2319 Wyoming Ave. NW, Washington, DC 20008 (tel: 202-965-4760). At unification, both the Y.A.R. and the P.D.R.Y. were struggling, underdeveloped economies. In the north, disruptions of civil war (1962-70) and frequent periods of drought had dealt severe blows to a previously prosperous agricultural sector. Coffee production, formerly the north's main export and principal form of foreign exchange, declined as the cultivation of qat increased. Low domestic industrial output and a lack of raw materials made the Y.A.R. dependent on a wide variety of imports. Remittances from Yemenis working abroad and foreign aid paid for perennial trade deficits. Substantial Yemeni communities exist in many countries of the world, including Yemen's immediate neighbors on the Arabian Peninsula, Indonesia, India, East Africa, the United Kingdom, and the United States. Beginning in the mid-1950s, the Soviet Union and China provided large-scale assistance to the Y.A.R. This aid included funding of substantial construction projects, scholarships, and considerable military assistance. In the south, pre-independence economic activity was overwhelmingly concentrated in the port city of Aden. The seaborne transit trade, which the port relied upon, collapsed with the closure of the Suez Canal and Britain's withdrawal from Aden in 1967. Only extensive Soviet aid, remittances from south Yemenis working abroad, and revenues from the Aden refinery (built in the 1950s) kept the P.D.R.Y. 's centrally planned Marxist economy afloat. With the dissolution of the Soviet Union and a cessation of Soviet aid, the south's economy basically collapsed. After the conclusion of the war, the government entered into agreement with the International Monetary Fund (IMF) to institute a structural adjustment program. This IMF program included major financial and monetary reforms, including floating the currency, reducing the budget deficit, and cutting subsidies. 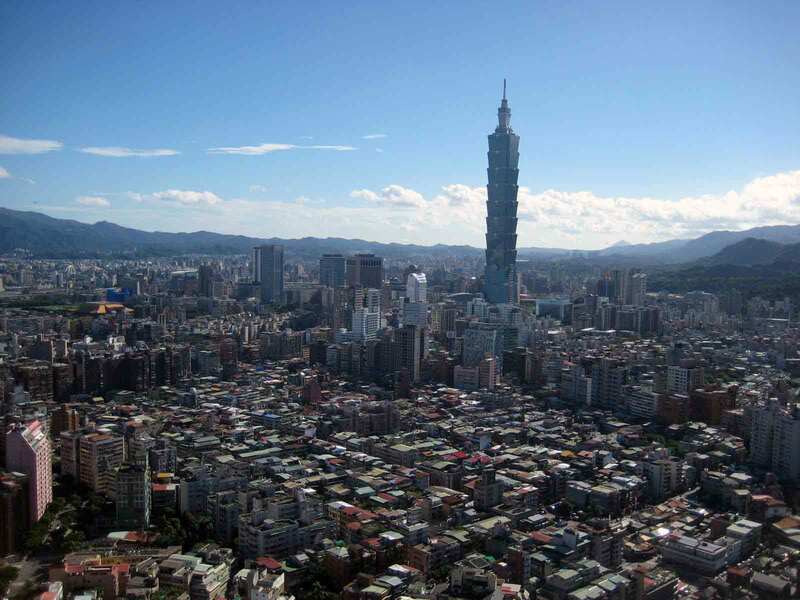 Difficulties implementing the reform program led the agreement to lapse. In August 2010, a new IMF program was implemented under which Yemen received an Extended Credit Facility worth approximately $370 million that would be disbursed over 3 years. In order to receive the funds, Yemen agreed to implement various economic reforms in the areas of revenue diversification/tax system reform, subsidy reductions, and governmental spending. Due to political instability, the program was suspended in 2011. The IMF is working with the new Yemeni Government in order to assess program needs in the country. The World Bank is present in Yemen as well, with many projects in the areas of public sector governance, water, employment, and education. Many World Bank projects were interrupted during 2011 due to the political crisis. The World Bank is working with the Yemeni Government, the IMF, and international donors on efforts to resume project activity in Yemen. Since 1998, the government of Yemen has sought to implement World Bank economic and fiscal recommendations. Yemen also receives significant bilateral foreign aid for development projects and humanitarian needs. Germany, Japan, Saudi Arabia, and the United Arab Emirates are among Yemen's largest bilateral donors. In 2006, Yemen received $4.7 billion in foreign aid pledges during a donor conference in London. Much of the pledged support remains undisbursed due to difficulties absorbing the aid. The U.K. in 2010 organized a ministerial-level Friends of Yemen meeting after a failed terrorist attempt on the U.S. originated from Yemen. The Friends of Yemen included the G-8, Gulf Cooperation Council states, European Union members, multilateral donor organizations, and other key partners of Yemen to form two working groups on "Economy and Governance" and "Justice and Rule of Law". The Friends of Yemen aimed to support Yemen's efforts to address its challenges and make recommendations on reforms that would help develop and strengthen the country. 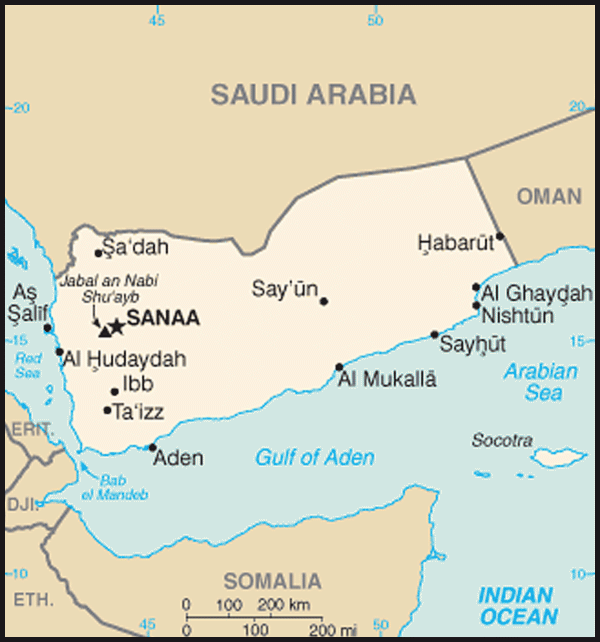 The Friends of Yemen process stalled in 2011 when the political unrest began. Given the establishment of the National Consensus Government in December 2011 and planned presidential elections in February 2012, efforts to move forward with priorities identified at the Friends of Yemen ministerial have resumed. Current U.S. Government commercial activities are focused on advocating on behalf of U.S. companies, protecting existing American business interests in the country, and diversifying Yemen's economy toward non-petroleum sectors of the economy. While Yemen is a relatively minor oil producer when compared to its Gulf neighbors, energy exports generate the majority of governmental revenue. Production peaked in 2001 at approximately 440,000 barrels per day (bbl/d) and has declined since. In 2010, the country produced, on average, approximately 260,000 bbl/d. Following a minor discovery in southern Yemen in 1982, an American company found an oil basin near Marib in 1984, and a small oil refinery began operations 2 years later. A Soviet discovery in the southern governorate of Shabwa proved only marginally successful. A Western consortium began exporting oil from Masila in Hadramaut governorate in 1993, and production there reached 420,000 bbl/d in 1999. There are new finds in the Jannah (formerly known as the Joint Oil Exploration Area) and east Shabwah blocks. In November 2005, Hunt Oil's 20-year contract for the management of Block 18 fields ended. Despite agreement with the Government of Yemen on a 5-year extension, the government abrogated the agreement via a parliamentary vote that was not called for in the contract. The U.S.-based Hunt Oil company sued Yemen in a Paris-based International Chamber of Commerce commercial arbitration court in 2005. The court's decision has been kept confidential, according to both sides' wishes. Hunt Oil continues to operate in Yemen, although in a much smaller oil exploration block. In December 2011, Yemen also ended its production sharing agreement in Block 14 with the Canadian firm Nexen. The Yemeni Government made a decision not to renew its contract with Nexen in favor of a newly formed, Yemeni Government-controlled company, PetroMasila. Yemen's oil exports in 1995 generated approximately $1 billion in revenues. By 2010, oil exports had grown to approximately $5.5 billion and comprised roughly 70% of governmental revenue. Crude oil production has declined steadily in past years due to dwindling reserves, lack of maintenance on some equipment, and a lack of new investment in exploration activities. Oil located near Marib contains associated natural gas. Yemen's natural gas reserves are currently being exported in the form of liquefied natural gas (LNG), and projects are underway that utilize Yemen's LNG to fuel several natural gas-fired power plants. The Yemen LNG project at the port of Balhaf on the Gulf of Aden became commercially operational in October 2009 and will generate much needed revenue to partially offset declining oil revenues. In February 1989, north Yemen joined Iraq, Jordan, and Egypt in forming the Arab Cooperation Council (ACC), an organization created partly in response to the founding of the Gulf Cooperation Council (GCC), and intended to foster closer economic cooperation and integration among its members. After unification, the Republic of Yemen was accepted as a member of the ACC in place of its Y.A.R. predecessor. In the wake of the first Gulf war, the ACC has remained inactive. Yemen is not a member of the GCC, although it is allowed limited participation in some organizational affairs. British authorities left southern Yemen in November 1967 in the wake of an intense terrorist campaign. The People's Democratic Republic of Yemen, the successor to British colonial rule, had diplomatic relations with many nations, but its major links were with the Soviet Union and other Marxist countries. Relations between it and the conservative Arab states of the Arabian Peninsula were strained. There were military clashes with Saudi Arabia in 1969 and 1973, and the P.D.R.Y. 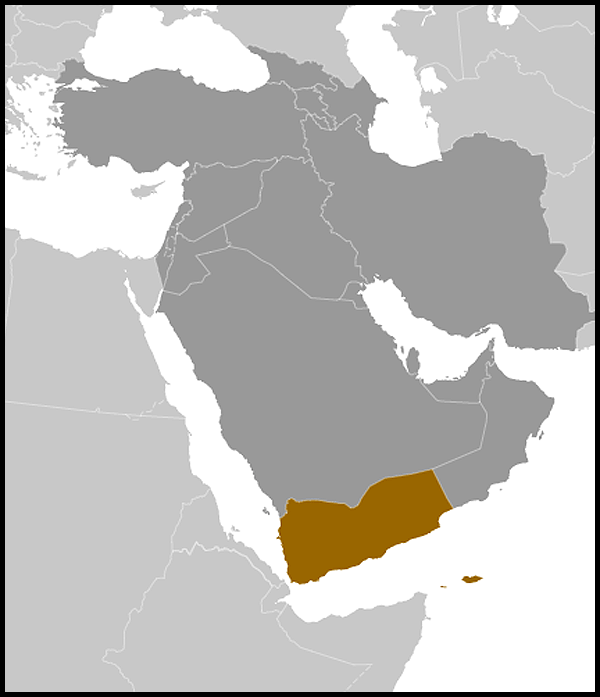 provided active support for the Dhofar rebellion against the Sultanate of Oman. The P.D.R.Y. was the only Arab state to vote against admitting new Arab states from the Gulf area to the United Nations and the Arab League. The P.D.R.Y. also provided sanctuary and material support to various international terrorist groups. Yemen is a member of the United Nations, the Arab League, and the Organization of Islamic Cooperation. Yemen also participates in the nonaligned movement. The Republic of Yemen accepted responsibility for all treaties and debts of its predecessors, the Y.A.R. and the P.D.R.Y. Yemen has acceded to the nuclear nonproliferation treaty. The first Gulf war and its aftermath dramatically affected Yemen's foreign relations. As a member of the UN Security Council (UNSC) in 1990 and 1991, Yemen abstained on a number of UNSC resolutions concerning Iraq and Kuwait and voted against the "use of force resolution." As Yemen was seen as supporting Iraq in the first Gulf war, Western and Gulf Arab states reacted by curtailing or canceling aid programs and diplomatic contacts. At least 850,000 Yemenis returned from Saudi Arabia and the Gulf. Subsequent to the liberation of Kuwait, Yemen continued to maintain high-level contacts with Iraq. This hampered its efforts to rejoin the Arab mainstream and to mend fences with its immediate neighbors. In 1993, Yemen launched an unsuccessful diplomatic offensive to restore relations with its Gulf neighbors. Some of its aggrieved neighbors actively aided the south during the 1994 civil war. Since the end of that conflict, tangible progress has been made on the diplomatic front in restoring normal relations with Yemen's neighbors. As a result, the Omani-Yemeni border was officially demarcated. In the summer of 2000, Yemen and Saudi Arabia signed an International Border Treaty settling a 50-year-old dispute over the location of the border between the two countries. However, border issues continue as Saudi Arabia attempts to demarcate and control its border with Yemen. Yemen also settled its dispute with Eritrea over the Hanish Islands in 1998. The United States established diplomatic relations with the Imamate in 1946. A resident legation, later elevated to embassy status, was opened in Taiz (the capital at the time) on March 16, 1959 and moved to Sanaa in 1966. The United States was one of the first countries to recognize the Yemen Arab Republic, doing so on December 19, 1962. A major U.S. Agency for International Development (USAID (http://www.usaid.gov/locations/middle_east/countries/yemen/) program constructed the Mocha-Taiz-Sanaa highway and the Kennedy memorial water project in Taiz, as well as many smaller projects. On June 6, 1967, the Y.A.R., under Egyptian influence, broke diplomatic relations with the United States in the wake of the Arab-Israeli conflict of that year. Secretary of State William P. Rogers restored relations following a visit to Sanaa in July 1972, and a new USAID agreement was concluded in 1973. On December 7, 1967, the United States recognized the People's Democratic Republic of Yemen and elevated its Consulate General in Aden to embassy status. However, relations were strained. The P.D.R.Y. was placed on the list of nations that support terrorism. On October 24, 1969, south Yemen formally broke diplomatic relations with the United States. The United States and the P.D.R.Y. reestablished diplomatic relations on April 30, 1990, only 3 weeks before the announcement of unification. However, the embassy in Aden, which closed in 1969, was never reopened, and the P.D.R.Y. as a political entity no longer exists. During a 1979 border conflict between the Yemen Arab Republic and the People's Democratic Republic of Yemen, the United States cooperated with Saudi Arabia to greatly expand the security assistance program to the Y.A.R. by providing F-5 aircraft, tanks, vehicles, and training. George H.W. Bush, while Vice President, visited in April 1986, and President Ali Abdullah Saleh visited the United States in January 1990. The United States had a $42 million USAID program in 1990. From 1973 to 1990, the United States provided the Y.A.R. with assistance in the agriculture, education, and health and water sectors. Many Yemenis were sent on U.S. Government scholarships to study in the region and in the United States. There was a Peace Corps program with about 50 volunteers. The U.S. Information Service operated an English-language institute in Sanaa. In 1990, as a result of Yemen's actions in the Security Council following the Iraqi invasion of Kuwait, the United States drastically reduced its presence in Yemen, including canceling all military cooperation, non-humanitarian assistance, and the Peace Corps program. USAID levels dropped in FY 1991 to $2.9 million, but food assistance through the PL 480 and PL 416 (B) programs continued through 2006. In 2006, the U.S. Department of Agriculture provided 30,000 metric tons of soybean meal that were sold for approximately $7.5 million to finance programs in support of Yemen's agricultural sector. The United States was actively involved in and strongly supportive of parliamentary elections in 1993 as well as the 2006 presidential and local council elections, and continues working to strengthen Yemen's democratic institutions. The USAID program, focused in the health field, slowly increased to $8.5 million in FY 1995, but experienced a brief hiatus after 2000. In 2003, USAID reopened its mission in Yemen with assistance principally focused on basic education, maternal and child health, and agriculture. The program has increased substantially since then; FY 2011 funding for USAID programs in Yemen was approximately $40 million with programs focused primarily on livelihoods and governance for vulnerable populations. In addition, since 2004 the Middle East Partnership Initiative (MEPI) has provided more than $2.7 million in grants directly to Yemeni organizations supporting civil society. Approximately 30 local non-governmental organizations (NGOs) have implemented programs in priority areas such as anti-money laundering/counterterrorism finance and early childhood marriage. Defense relations between Yemen and the United States are improving rapidly, with the resumption of International Military Education and Training assistance and the transfer of military equipment and spare parts. In FY 2011 approximate funding for U.S. Foreign Military Financing (FMF) for Yemen was $20 million, International Military Education and Training (IMET) was $1 million, and Non-Proliferation, Anti-Terrorism, Demining and Related Programs (NADR) was $4.5 million. In FY 2011 Yemen also received approximately $26.6 million in Economic Support Funds (ESF). The address of the U.S. Embassy (http://yemen.usembassy.gov/) in Yemen is P.O. Box 22347, Sa'awan Street, Himyar Zone, Sanaa, Republic of Yemen.